Heike and Thorsten are living near the Baltic See, are enthusiastic skiers and love their annual winter holidays in the mountains. 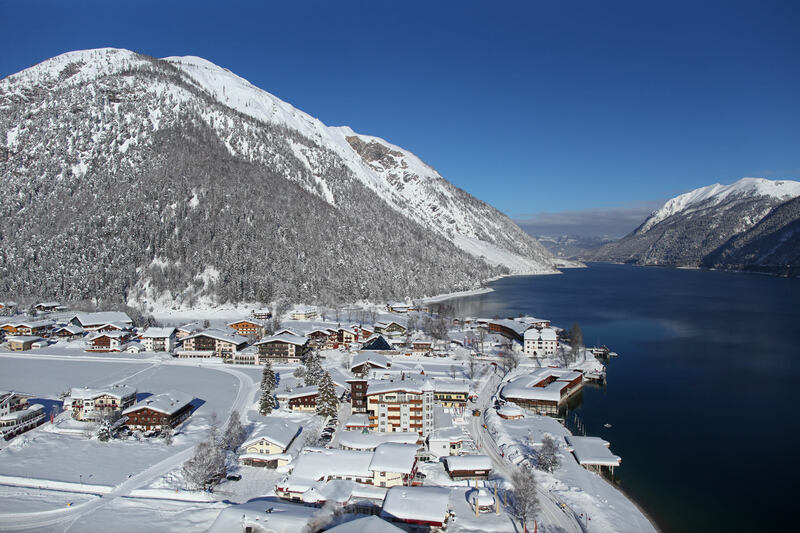 This year it is the first time that they consider to choose the region around Achensee for the winter destination. But first they would like to get some recommendations from the locals to finalize their decision. 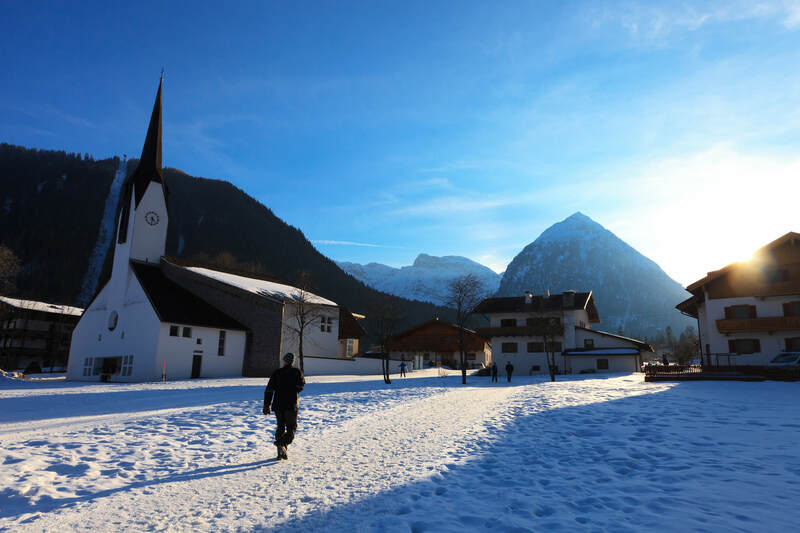 We are one of the very rare destinations worldwide, where it is possible to ski down the slopes or glide along cross-country ski trails with a breathtaking lake view. 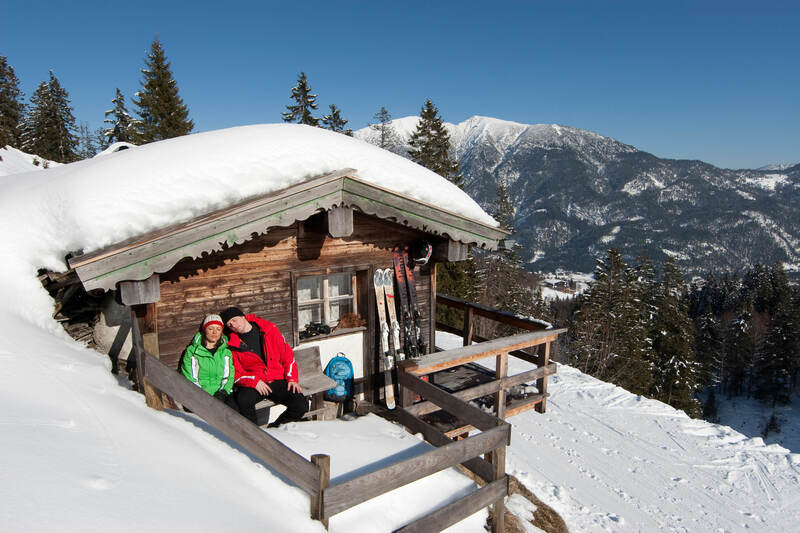 The special magic at our cozy mountain huts with various Tyrolean treats makes the winter at Lake Achensee to an adventure. 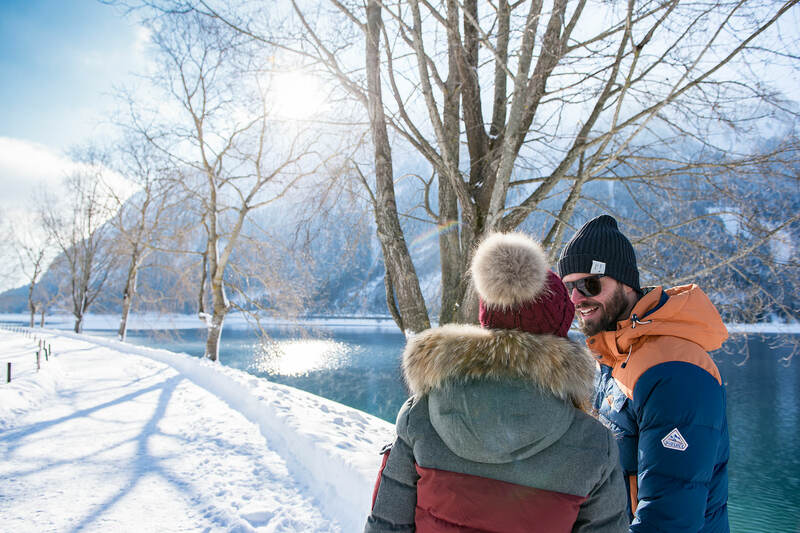 Relax at our wellness area after a chilly winter stroll or after a day on the slopes and afterwards you can enjoy a hot glogg in front of an open fireplace at our hotel bar or at the Hotel Pfandler parasol bar. Due to the silence and the calm atmosphere in the winter, you will feel more than relaxed when you see the snow covered winter landscape. that’s exactly what we like!